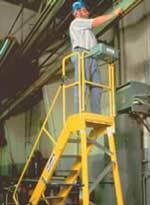 Fiberglass ladders were originally developed for electrical utilities but have increasingly gained acceptance for general industry and residential use. Fiberglass now holds a significant market share of industrial ladders and is steadily replacing aluminum and wood in residential ladders. 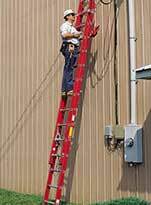 Fiberglass ladders are stronger than wood or aluminum ladders and will not rot or corrode. The vivid colors of the ladders (i.e. red, orange, yellow, black, blue or green) are produced by pigmenting the resin in the pultrusion process. With the color throughout the part, there is no chipping or peeling. Unlike aluminum, fiberglass has low conductivity properties so that it substantially reduces the hazard of electrocution by contacting high voltage power lines. For the roughest, toughest jobs where a ladder takes a beating, fiberglass provides the ultimate in ruggedness and long-term durability. 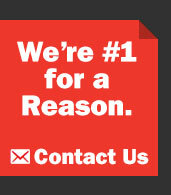 Strongwell has been producing pultruded fiberglass ladder rails for more than 40 years and has worked with all of the major ladder manufacturers in North America.